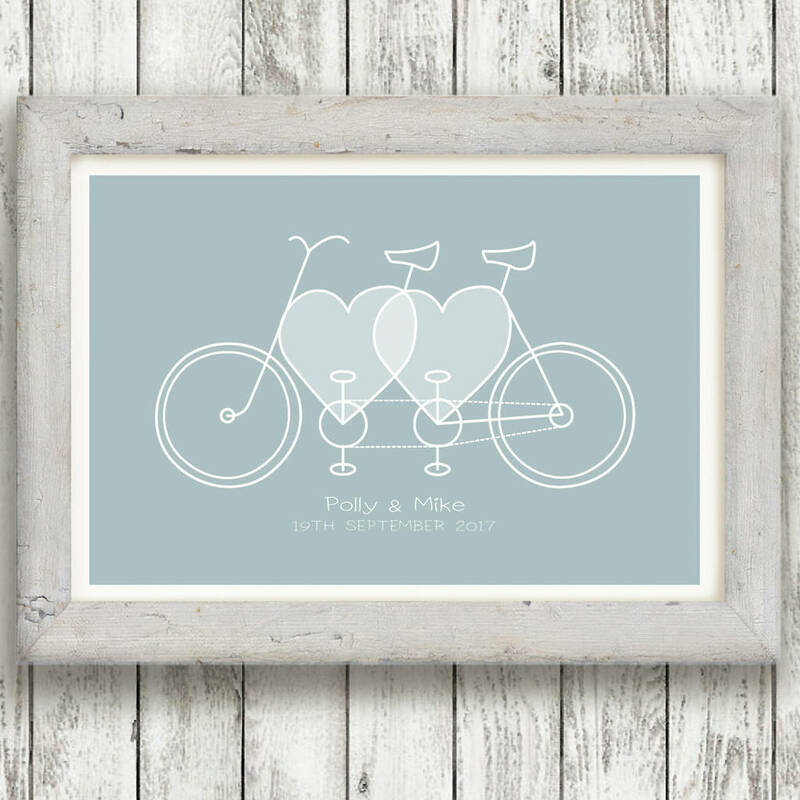 A bike lovers personalised print that's perfect for any pedal pushing pair. 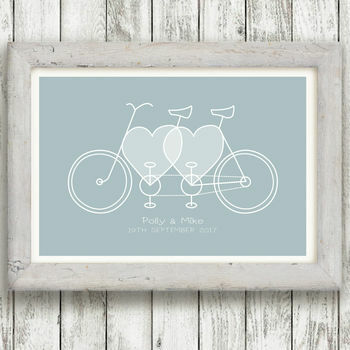 A great wedding print for cyclists and a brilliant way to celebrate an engagement or wedding anniversary. There are twenty colours to choose from. 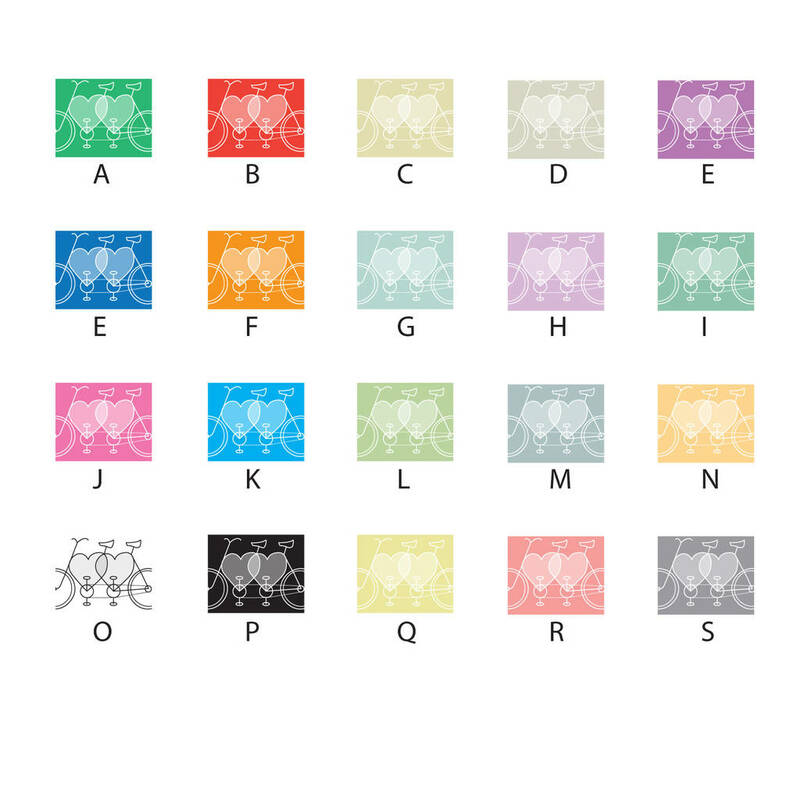 All the colours have a white bike and type apart from the white background that has a black bike and type . Special colours are also available by request at extra cost. 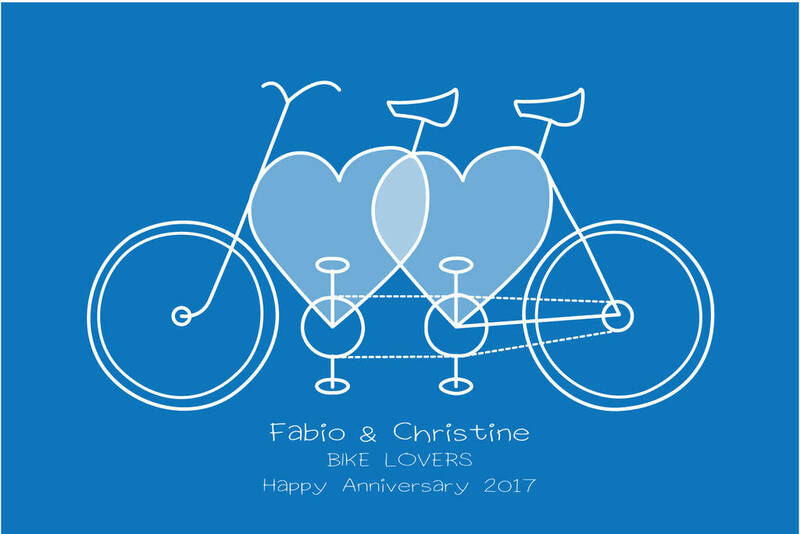 Please note that the phrase BIKE LOVERS will not appear unless requested in the MESSAGE option. This print uses top of the range archival quality paper and inks for a long fade free life. The print is sold unmounted and unframed. The A4 print comes in an acid free cellophane bag with backing board and is posted flat. The A3 print is rolled in acid free tissue paper and then sent in a sturdy cardboard tube. Image and design copyright derek matthews. A4. Paper size is 21cm x 29.7cm. For A4 frame or larger. A3. Paper size is 29.7cm x 42cm. For A3 frame or larger. This product is dispatched to you by Just for You.